Summary: Alice always loved stories, but when her father died and the family business went under, she was forced to become practical and find a job. She was hired by a camera company and learned about a new kind of camera–one that made moving pictures. To help sell the camera, Alice decided to capture some of her stories on film. She created props and costumes, found actors and actresses, and experimented with different film techniques. She even learned to add sound and color to her motion pictures. She eventually moved to America, where she opened a studio and eventually made over 700 movies. But when the film industry became big business, Hollywood put Alice’s little studio out of business, and she moved back to France with her children. Much of her work was lost, but in 1955, her role in movie making was rediscovered, and she was awarded the Legion of Honor. She also wrote her memoirs, which were finally published in America in 1986. Includes additional information and a list of sources, including two of Alice’s films that can be seen on YouTube. 60 pages; grades 2-6. 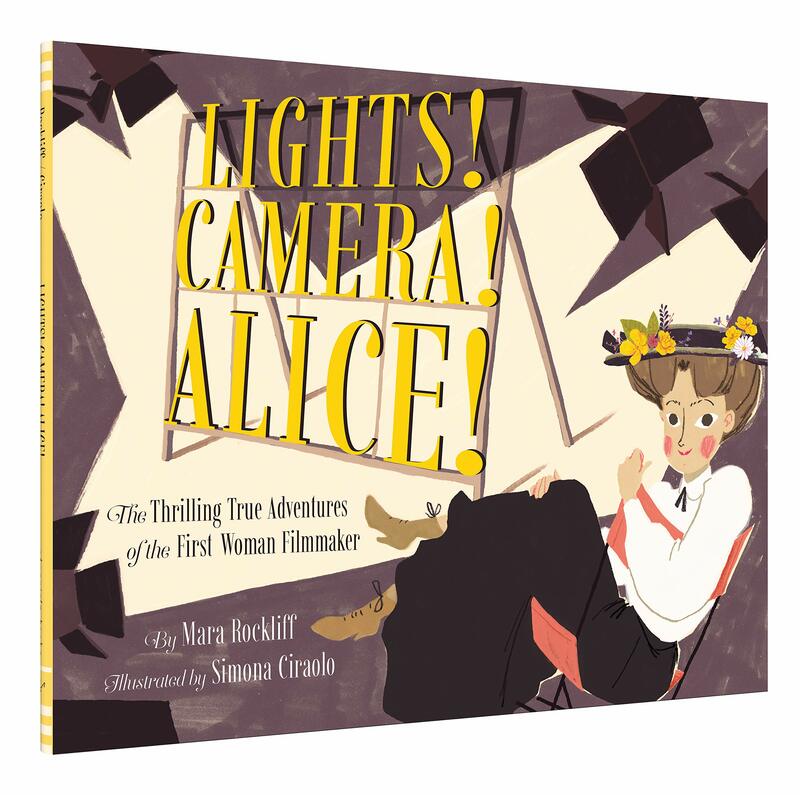 Pros: This quirky book tells the unbelievable story of Alice Guy-Blache, who contributed a huge amount to early film, yet was almost completely unrecognized for her achievements. The story is told in the style of a silent movie, and the illustrations have a good time playing with that genre. Cons: All recommendations I saw were for grades K-3 or K-4, but most kindergarteners and first graders wouldn’t have enough background knowledge to understand or appreciate this.